Vardex Suisse has been working independently since 2017 and with an express objective of meeting customers’ demand through a reliable and easily accessible network, the provider is a member of the Financial Services Standards Association (VQF) as well as Crypto Valley Train Community. 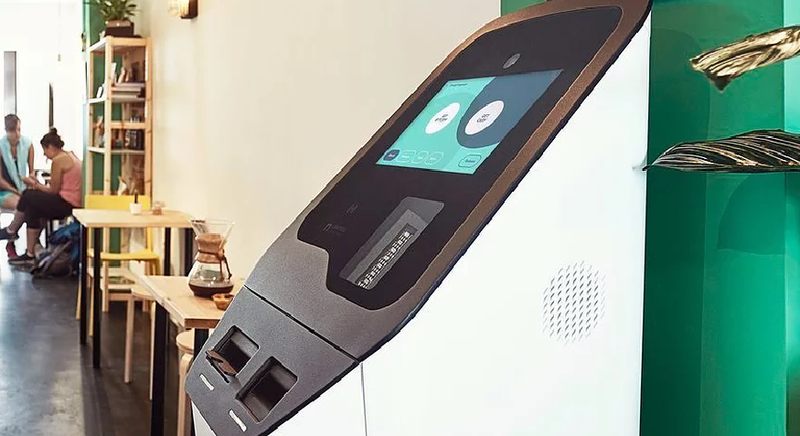 Because they are keen on making crypto purchases as seamless as possible, Vardex has partnered with Post von Liechtenstein and taking advantage of favorable regulations in the country that has seen crypto businesses flourish. Interested users can buy Bitcoin Cash using fiat, wallets or credit cards. Bitcoin Cash (BCH) is a top performer in the top 10 adding 24 percent in the last week. Even though BCH buyers are in charge, there is strong sell pressure at $160, our immediate resistance level. From a top down approach, sellers are in control and yet to recover from the losses of mid-Nov 2018. That means, BCH/USD is trading within a bear breakout pattern. However, from a second look, price action is trending within Dec 16-20 bull bars and the failure of sellers to close below $70 means buyers have a chance in the short-term. It has been affirmed by bulls finding support and bouncing off the 78.6 percent Fibonacci retracement level based on Dec 2018 high low. 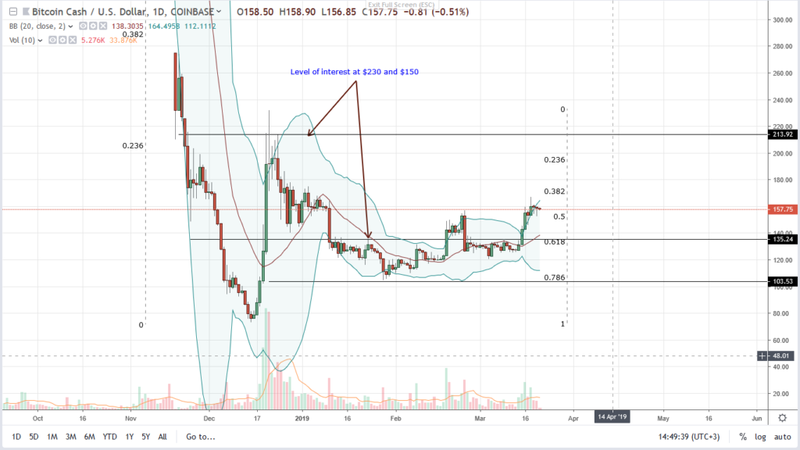 If anything, this is bullish in the short-term and albeit the deep correction, BCH could rally to $230 but that is largely dependent on whether bulls clear our minor resistance level at $170 marked by the 38.2 percent Fibonacci retracement level of Dec 2018 high-low. Although BCH buys have an upper hand, sustaining their momentum are low volumes. Four weeks later and bulls have managed to recover losses but accompanying volumes are low. On Feb 24, volumes stood at 85k but Mar 16 bull bar was pumped by low volumes at 78k. What we need, for our bullish stance to hold true, is for prices to break above $170 with high participation exceeding 90k. That will confirm bulls of Feb 18 and might be the necessary impetus for a possible BCH rally.